H P Range: 0.5 H.P. To 10 H.P. - Suitable for single phase 160-240 Volts and Three Phase 340-440 Volts, 50 Hz power supplies. - Heavy duty water-lubricated bearing for long trouble operation. 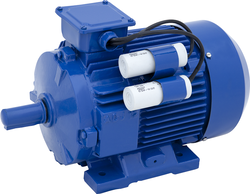 We are the renowned firm engaged in offering enhanced quality range of Horizontal Openwell Pumps. The offered submersible pump is manufactured using high quality raw material in complete accordance with the set universal norms. This submersible pump is applicable in different industries to extract water from the surface. Total Head : Up to 54.0 mtrs. Flow Rate : Up to 1360 lpm.